Peace and Plastic: What is a Raspberry? Wikipedia says: The raspberry or hindberry is the edible fruit of a multitude of plant species in the genus Rubus, most of which are in the subgenus Idaeobatus; the name also applies to these plants themselves. Raspberries are perennial, with woody stems. This picture is the most color accurate but not 100%. LOVE that color!! 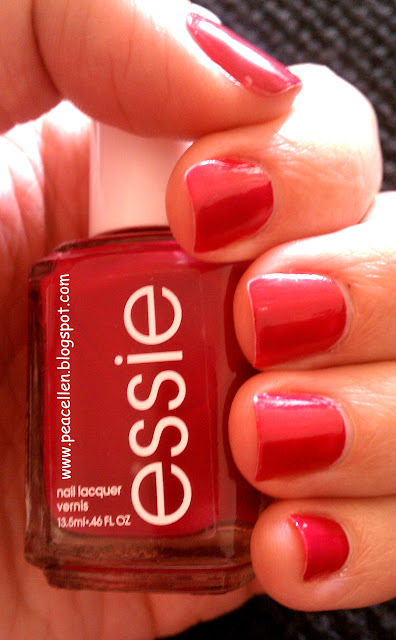 I've never tried Essie before! I'll check it out!!! 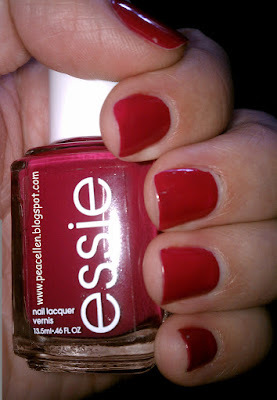 I just recently became interested in nail polish and Essie is leading the way as my favorite brand! Do try it!